Instead of throwing them out when you no longer need them, you can donate electronics to a respected Dunwoody, GA charity, such as American Kidney Services. Since 2004, we’ve been accepting donations and giving proceeds to the American Kidney Fund. We’re passionate about contributing to the American Kidney Fund due to their tireless work in helping patients with renal disease pay for essentials like health insurance premiums and prescription medications. They use 97 cents of every dollar to help patients and, thanks to their efforts, were given a perfect 4-star rating by Charity Navigator. To donate electronics to our charity, simply fill out our online form and we’ll notify you of when our collection vehicles will be in your neighborhood. Once you know your collection date, place your donations in a bag or box labeled “AKS” and leave them on your curb or driveway. If instead you prefer to drop off your donations, you may leave them at any Value World location near you or in one of our drop boxes. 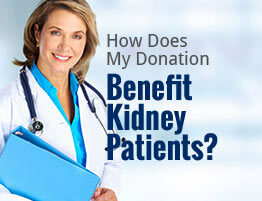 To learn more about how you can donate electronics to American Kidney Services in Dunwoody, GA, contact us today. We can let you know any items we’re unable to accept and further inform you of how your contributions help improve the lives of those with kidney disease.